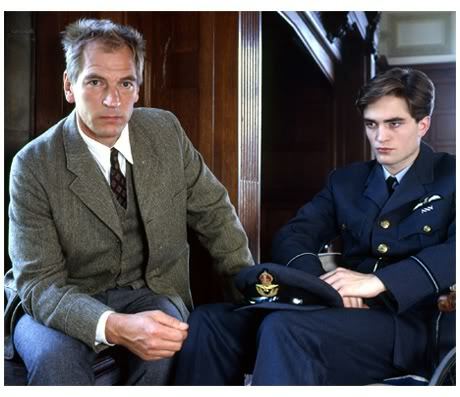 Just because the obscure 2006 BBC Four war drama The Haunted Airman, which happens to star Twilight‘s Robert Pattinson, is being released on DVD today along with the eagerly anticipated release of Twilight itself, doesn’t mean that the DVD is in any way a cash-in on behalf of Revolver Entertainment. 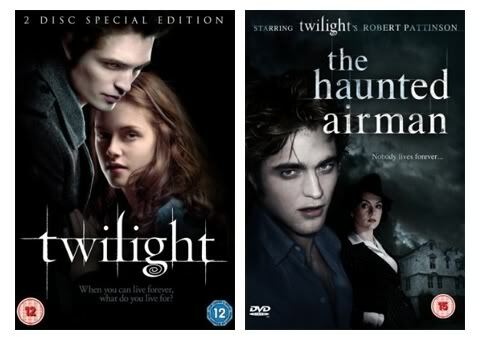 I mean, it’s not as if they’ve replicated the colouring, font, composition and entire cover design of Twilight to help sell their own product, or even gone so far as to mention Twilight on the cover itself. That would be ridiculous. Oh right, well at least the taglines are different. Oh. Well, this is probably just a co-incidence. I’m sure The Haunted Airman was marketed in the exact same way when it was first shown on TV three years ago.